What are the essential skills needed to set up and run a successful coaching practice? Coaching is the new growth industry in the UK and coaching as a profession is increasingly becoming an attractive option for motivated professionals. Achieving Excellence in Your Coaching Practice provides a practical and accessible guide to the business skills needed to succeed as a self-employed coach. It focuses on every aspect of setting up and developing a professional and successful coaching practice, including discussion of how to market your business, manage your resources, assess risk, and promote a professional image. 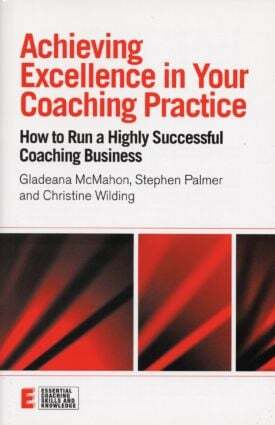 Assuming no prior knowledge or experience of running a business, this book provides an invaluable guide to the major financial, legal and practical issues involved in setting up a coaching practice. It will be welcomed by all coaches, whatever their level of experience. Why do you want to be self-employed? Are you personally suited to being a coach? What does it mean to be a professional coach?